Yesterday, Boards of Canada streamed their first album in eight years, Tomorrow’s Harvest, during. Today, seven SPIN editors give their hasty and completely impulsive opinions. Philip Sherburne The album begins with a muted horn fanfare and a squiggle of synthesizers that sounds like something you’d hear over the opening credits of an old film caught on late-night television. Of course it does: This is Boards of Canada, and over the next hour, it becomes abundantly clear that they are still up to their old tricks, which is to say, making the strange sound familiar, and making the deeply (even subliminally) familiar sound newly strange. And so their sound world is still heavily based on 1970s nature documentaries, the BBC Radiophonic Workshop’s evocative whoosh and whir, etc. The welcome surprise about Tomorrow’s Harvest is how Boards of Canada have made their own tics and tropes and deeply ingrained habits sound new again. This is clearly a Boards of Canada album; there’d be no mistaking it for the work of anyone else. Every breakbeat, every brass pad, every stacked fifth bears the duo’s indelible signature. But nothing here sounds redundant: After eight years of silence, would they have anything left to say? (It’s not like The Campfire Headphase even felt particularly essential after Geogaddi.) Quite the opposite — I immediately get the sense that Boards of Canada put in their time woodshedding (appropriately, for a couple of guys who would have us believe they live in a wooden shed) and figuring out exactly what kind of music they wanted to make, and why. The last time Boards of Canada released an album, dubstep was barely extant, so it’s somewhat surprising to hear dubstep’s signature lurch turn up here and there, and to realize that they have probably been listening to the same music we have these past eight years; perhaps they don’t live in a turquoise bubble-world after all. Another surprise is how much more rhythmically focused they’ve become. Just listen to the dazzling programming on “Sick Times,” or the way that “Uritual” bears traces of jungle’s double-time kinetics in the margins of its lackadaisical boom-bap. Sonically speaking, Boards of Canada have never sounded better — YouTube is no audiophile medium, but it still managed to convey a timbral and spatial richness that’s above and beyond anything they’ve done before. (Further listens to the 320kbps promo on high-end studio monitors confirms this.) Quite a few songs immediately appear as strong as anything in the duo’s catalog, particularly “Cold Earth” and “Nothing Is Real,” which are as archetypically BOC as it gets; “Split Your Infinitives” and “Come to Dust” summon a newfound hugeness. But many of my favorite tracks so far are the interstitial sketches that tie the album together. Some of them, like “Transmisiones Ferox,” could have been developed much further, but I’m happy to be left wanting more. Prezioso . After the elaborate treasure hunt of the album’s viral promotional campaign, it’s a relief that the real mystery is to be found in the music itself. Early score: 9/10 Christopher R. Weingarten It’s getting a little redundant how many times we’re writing the words “John Carpenter” or “library music” these days — but since the world finally caught up to Boards of Canada’s record collection, it’s fine to give ‘em one last spin. This album is so synth-chilly and VHS-goosebumpy that it could come out on. The victory of Tomorrow’s Harvest is how it abandons most of the pastel moods of previous Boards albums, instead working alongside the very contemporary nostalgia of Broadcast, Pye Corner Audio, and Haxan Cloak — or, in a broader sense, the apocalyptic moods of Swans, the Knife, and Godspeed! Except there are actual grooves on thing: the flickering candlelight of what people used to call dubstep, the muted hues of the last Moby album, and “Jacquard Causeway,” which joins Portishead’s Third as evidence that J Dilla’s legacy isn’t limited to hip-hop. Early score: 9/10 David Marchese It doesn’t make the wait any less retroactively frustrating, but Boards of Canada’s Tomorrow’s Harvest, the ambient genii-genies’ first album in eight years, certainly sounds as if it took a long time to put together. (In a very, very good way.) Rather than fussed-over or inhumanly perfect (cough — that other long-awaited album from an electronic music duo released this year — cough), each of these 17 tracks feel like the product of sure-handed craftsmanship. The way the melodic samples gracefully drift toward and away from each other, the gentle decaying of a looped cymbal crash, the wistfully burbling voices, the inevitable and almost subliminal dynamics — it’s as if each sound on this extremely synthetic album were handmade solely for use here and now. And if BoCers Mike Sandison and Marcus Eoin took most of a decade to make the new LP, it sounds as if it took a lifetime to feel. Describing this music seems almost more beside-the-point than describing most music. Sep 7, 2016 - 65 min - Uploaded by peterThe other full upload of this tape has some of the tracks that also appear on MHTRTC replaced. Aug 29, 2017. Nearly four years later (and after the release of only a single four-track EP and the archival Peel Sessions), the duo returned with its second LP, Geogaddi. 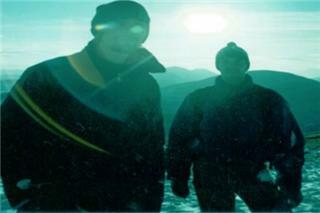 Another long wait followed, until in October 2005 Boards of Canada released The Campfire Headphase, which introduced subtle changes into the pair's. The Scottish duo compels nearly overwhelming emotional responses (melancholy, sublime, wistful) from the tracks’ sparse, inorganic elements. The whole thing sounds like Tangerine Dream immersed in Mother Earth’s amniotic fluid, or the soundtrack to a film about whales who sing each other enigmatically moving songs while high on MDMA, or, thankfully, a new Boards of Canada album. Early score: 9/10 Chris Martins Abstracted rap beats skittering across the horizon. Throbbing ambient scores, one dirging guitar away from black metal. Glistening mirage music in a land with no shade — the sound of The Road if it’d had a score to rival that of Drive. BoC’s new one was worth the wait as it finds Marcus and Mike making genuine events of even their most patient on-album moments. Metode Skrining Fitokimia Pdf Free more. There is neither drift for the sake of drift alone, nor beautiful wash that languishes into eventual monotony. When the music calms, the insects come out to buzz and the tension gets turned up. Helicopter blades sputter from above or a distorted human voice ekes into the transmission before being absorbed by ether once again. And when everything intensifies — minimal ingredients looped to maximal bursts of crackling bliss — the effect is dizzying. In this regard, Tomorrow’s Harvest is much more the successor to the unerringly eerie Geogaddi (2002) than to 2005’s somewhat bland Campfire Headphase. Still, this LP does take one cue from the pair’s least popular album. These new songs find Boards once again working to improve their tech — deeper bass, harder drums, thicker atmosphere — but this time without losing their grip on what makes them great. Early score: 8/10 Jordan Sargent Unlike Daft Punk or Justin Timberlake, Boards of Canada have come back sounding exactly like themselves. Of course, there was no expectation they’d do otherwise, but in the context of 2013 the familiarity of Tomorrow’s Harvest is almost refreshing. But is it too comfortable? Such is the question a band can’t help but raise with a nearly decade-long absence. The answer is “sort of”: Nothing on the album quite rouses like first single “Reach for the Dead,” not the hard snares of “Jacquard Causeway” or the elastic bass of “Palace Posy.” Instead, Tomorrow’s Harvest is best when it’s at its most quiet: the underwater frequencies of “Transmisiones Ferox” and especially the Avalanches-esque sunbeam that is “Nothing Is Real.” As surprise returns go, the line between “This is it!” and “This is it?” is a fine one, but Boards of Canada fall just close enough to the former. Early score: 7/10 Brandon Soderberg Well, this is definitely an album by Boards of Canada. Despite the hammy slow reveal via Record Store Day rollouts and “live album transmission” via YouTube, this is pretty much the in-the-pocket synth-moan you’d expect from these guys. Tomorrow’s Harvest does have the sprawl of their best (2002’s Geogaddi) for sure: strangely bouncy static-electric funk; truly disturbing almost-vocals slurs; and a wobbling whine of warm digital-doing-analog hiss that really does invoke the kind of half-happy ’70s film-strip music from which they got their name. But anybody anticipating these guys returning to do away with dubstep and all of its gauche, big dumb fun, or to rightfully claim their throne as kings of chillwave and cloud rap at the same damn time, are just going to shrug. And the group’s refusal to adjust their sound much at all, while admirable, does makes this album a bit of a non-event. Boards are still tied to an understanding of electronic music or “electronica” that thinks it needs to nod to dance even though it doesn’t do dance music all that well in the first place. The standouts here are the moments without shuffling drums or, really, no interest in rhythm much at all. When the tracks circle around themselves and hang out for a little while. The programmed drums — a cheesy layover from IDM — obscure the emotive qualities of these smeary soundscapes, and it’s frustrating. Those nebulous globs of broken keyboard buzz and split-wire whirr make the album, and they don’t show up enough here. Then again, that no-drums drift is for better and worse, clogging up electronic music right now. Boards of Canada do that style pretty well — but these days, a lot of other mysterioso duos, or just scruffy nerds in their bedrooms with laptops, are doing that pretty well, too. Instant MP3 download with all Vinyl / CD purchases. 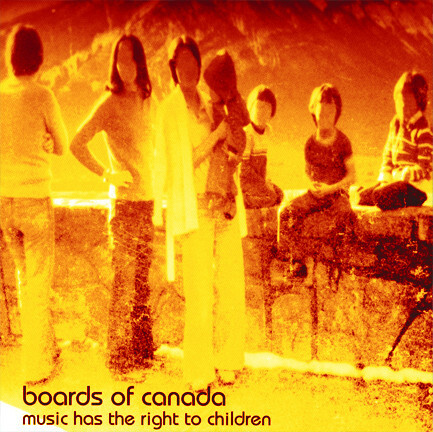 If 1998’s ‘Music Had The Right The Children’ beguiled in its naivety, with voices of playing children ringing from some half-remembered time, ‘Geogaddi’, released four years later, unearthed a more sinister dread from the palette which had made Boards of Canada’s first album such vital listening. Embedded in the motifs of the album’s 23 tracks seemed a foreboding sense of coming apocalypse which drew strongly from the electronic dystopia of Kraftwerk’s ‘Radioactivity’. The vocoded refrain of ‘1969 in the sunshine’ on ‘1969’ framed a sense of wide-eyed optimism within a subtly ominous landscape of nauseous synths and hazy hip-hop percussion, while tracks like ‘Energy Warning’ and ‘Beware the Friendly Stranger’ provided moments of severe, troubling forecast which were situated as much within contemporary fears as the Cold War subject matter from which the album took its cue. ‘Music is Math’ remains a highlight of the Boards canon in its perfectly rendered woozy synths, and nagging BBC vocal sample, with percussion that could encourage a dancefloor whilst subtly troubling it, and ‘the Devil is in the Details’ hinted at the deeply layered satanic codes which many committed fans were convinced they had unearthed. ‘Geogaddi’ continues to be an alluring piece of the Boards of the Canada puzzle, which cemented their already unique sound even as it undermined its optimism.